AB 174 would provide resources to fund a two-year planning effort to establish a medical school at UC Merced. “The program encourages medical students to come to areas that are underserved and do part of their education and serve their residency programs in those areas," he says. The bill would also allocate $1 million to fund UC Merced’s two-year planning effort to establish a medical school at the university. Gray says this is key when trying to recruit future doctors to stay in the valley. 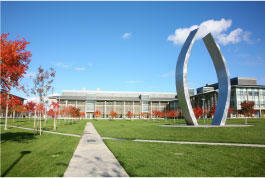 The UC Regents authorized UC Merced to develop a plan to establish a medical school back in 2008. But the announcement did not include funding for the plan, and UC Merced has not been able to submit a proposal. Gray introduced a similar bill in 2014 but it hit a road block in the Senate Appropriations Committee. AB 174 is expected to have a hearing this month.